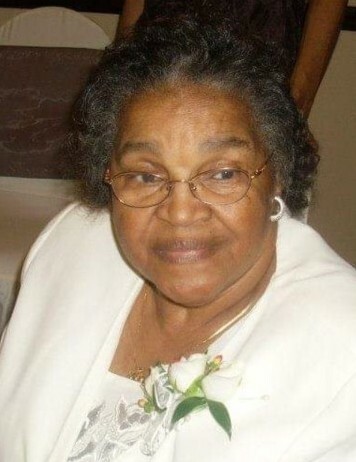 Vandaliah Baldwin, age 84 of 1029 Courtland Village Dr., Sanford, NC passed Sunday, April 7, 2019 at her residence. Vandaliah Jackson Baldwin was the youngest daughter of John David Jackson and Lydia McNeil Jackson, born on May 15, 1934. She transitioned from her earthly life to her heavenly home on April 7, 2019. She committed her life to Christ at an early age and worked diligently at Tempting Congregational Church and supported Abundant Living Ministries. She worked as a part of the women’s ministry, missionary department, senior choir, and financial officer for various auxiliaries. She was a teacher at heart and taught her children, grandchildren and spoke into the lives to many that came across her path. She taught the love of Jesus Christ and how He came to earth to seek and save that which was lost. She exhibited the agape kind of love and was not bashful in spreading the gospel. Our mom was best known for her love for baking and cooking. She made sure that she served her family well with a hot home cooked meal everyday even during the time when she started working outside of the home. Her favorite dish was chicken & dumplings and peach cobbler. She didn’t keep her special recipes to herself, but shared them with her family and friends. She was the neighborhood entrepreneur as she sold various items from her home. She worked at Star & Twin City Dry Cleaners for many years prior to her retirement. In her early retirement years she opened her home to care for children from the church and community. On February 14, 1949, she married the love of her life, James Raymond Baldwin. To this union, 9 children were born. Family that preceded her in death were three sons, Milton L. Baldwin, Melvin L. Baldwin and Willie Anthony Baldwin; twenty one sisters and brothers, Ada, Clim, William, John, James, Clifton, Minnie, four infants, Ruth Mae, Rosa, Nathaniel, Mildred, Beatrice, Beulah, Bobby, Donald Bryant, and Layton. She leaves to cherish her memories, her beloved husband, James R. Baldwin, Sr.; five sons, one daughter; James R. Baldwin Jr. and Paul L. Baldwin, Sanford, NC; Ronald E. Baldwin (Sonia) of Riverside, Ca. ; Sharon B. Williams, Sanford, NC. ; Arnold T. Baldwin (Sayori), Rancho Cucamonga, Ca; Stanley R. Baldwin (Louise), Greensboro, NC. ; and daughter-in-law, Stephanie Baldwin of Fayetteville, NC; thirty three grandchildren, sixty great-grandchildren, fourteen great great-grandchildren; a host of nephews, nieces, family and friends. The family will receive friends at the home of her daughter, Dr. Sharon Williams 3007 Poplar Springs Ch. Rd. Sanford, NC.